Fitzroy aka "Da Buzzboy" within the music industry, has educated his musical mind like a dry sponge would absorb water and is regarded by many as a source of information for those mind boggling unanswered questions. Like many from his generation he danced as a teenager on the West End club circuit and progressed to becoming a DJ, remixer, producer, compiler, songwriter, radio and media presenter with nearly 30 years experience in various countries behind him. Having worked with many of today's integral major players in the dance industry Fitzroy carved himself a niche working with live acts mainly at the Mean Fiddler's Jazz Café. He established a repertoire that has supported an eclectic whose who's list of world famous Black music artist's from the 70's including Gil Scott Heron, Roy Ayres, Bobby Byrd, Gwen McCrea, Rose Royce, The Crusaders and War to 90's acts Digable Planets, The Pharcyde, Omar, Incognito, Carleen Anderson, Courtney Pine, Ereka Badu, Jill Scott, London Gospel Community Choir, Sounds Of Blackness, De la Soul, Naughty By Nature to present day performers Raphael Saadiq, Jaguar Wright, Bilal, Rashaan Patterson, Brian McKnight, Floetry, Gerald Levert (R.I.P), Conya Doss, Eric Roberson, Angie Stone, Leela James, Dwele, Mint Condition and Pete Rock. Many have employed him within other spheres of the entertainment industry. 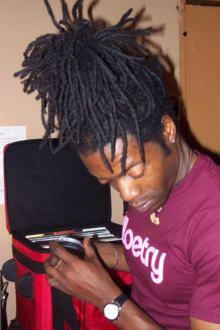 His resume includes the 2000 MOBO Awards After Party and several guest radio shows on Kiss FM, GLR, Solar and Choice FM. The BBC1 Tribute to Muhammad Ali in 1998 credited Fitzroy for his musical contribution to this highly successful documentary. He also appeared in BBC 2's "Dance Energy's" "James Brown Special" and ITV's "Club a Vision". Fitzroy has Dj workshop experience working with 12-17 year old teenagers as well as being a panellist for the Black Music Festival held in London at the Royal Festival Hall. sharing his passion and education of music with the universal world.